*Do you have a collection to sell? We buy good collections-enquire with us? 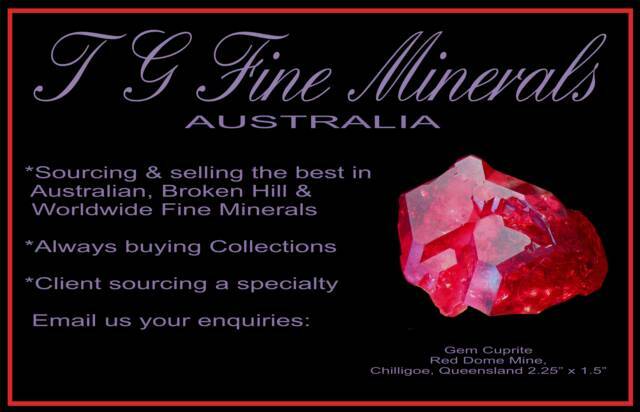 Chilligoe, Queensland 2.25" x 1.5"
AUSTRALIAN: Paypal, Direct Deposit in $AU to our acount only. All purchases are sent via Air Mail only, & must be insured. We accept returns* provided notification of return is recieved within 7 days of reciept-please note returns must be fully insured posted at your cost & recieved in identical condition. *Please note all special Sale Items and consign items are final and exempt from this policy. Refunds are minus currency changing fees & Bank fees & do not include your original postage & insurance.